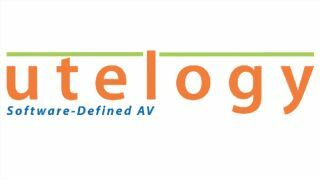 Utelogy has appointed industry veteran Kevin Morrison as chief executive officer to lead the company through its next phase of innovation and growth. Morrison is the CEO of Integritas, a firm that helps start-ups and small-cap companies with funding and building a global presence. Acting as an investor's representative on a recent round of private funding for Utelogy, he takes on the role of CEO. Morrison has a solid tenure in the AV industry and was formerly the CEO of Endeleo, executive vice president of AMX, and—most recently—senior vice president of Harman Professional. "I'm delighted to join Utelogy at this pivotal point for the company," said Morrison. "The company has a great future, and we are focused on the continuous development of our enterprise-class platform which is attracting huge interest from the end user and integrator community. I am looking forward to a very exciting period ahead." Co-founder and former CEO, Frank Pellkofer will assist Morrison as he transitions; Pellkofer will take over as president of Utelogy and will continue to lead the sales organization. "It's the right time for Utelogy to bring in someone like Kevin to take the company to the next level," said Pellkofer. "With our global expansion and rate of growth, there is massive opportunity, and the time is right to take advantage of Kevin's vast experience with both the investment community and management of high-growth technology companies."